Cast your minds back to the 1990's when the Transformers brand was poised to make a comeback with the multimedia "Generation 2" relaunch. Hasbro attempted to breathe new life into the famous robots in disguise after they had suffered a series of setbacks at the tail end of the 80's. The toy line began with a number of repainted Generation 1 figures often done up in striking new color schemes and outfitted with re-purposed GI Joe weapons. The cartoon itself was also recycled as it consisted of the original series recut with scene transitions done with early CGI. As it stood the only genuinely new content for Generation 2 (or just G2) was the comic book series done as a sequel to the original Marvel run. Like any good comic of the 90's, it was full of excessive violence, (robo) gore, characters gritting their teeth, pouches, huge guns, huge swords, and all the XTREME touches we have come to love (or loath) about the dark era of the printed page. It's been over 20 years since G2 and TakaraTomy took it upon themselves to give back to the fans with a repaint of their Masterpiece Lambor (Sideswipe) with this Lambor G-2 Version. It's not often we see a Japanese toy paying tribute to an American born variant and I am glad they decided to do this in a way that goes beyond a simple recolor. So this is Labor G-2 Version or as I will call him for the duration of this review, Sideswipe. Much like the original G2 figure, this Sideswipe is mostly a straight repaint with all the reds and blacks swapped. It's a simple idea but one that looks as fantastic now as it did back in 1993 and is rightly a fan favorite variation. Out of the box the figure has no faction symbol applied and looks quite gorgeous as an all black Lamborghini Countach with strategic red highlights. The unmistakable Countach profile is still well represented by this figure. As Jeremy Clarkson put it, the Countach is the best worst car ever to be designed by a four year old. Unlike the original G2 Sideswipe or the comic rendition, this figure has red windows rather than clear ones. I believe it was stylistic choice done based on how much of this Sideswipe's interior is red. The idea is to match the robot mode innards so they don't stand out as much. Making the windows black would have made the whole thing blend together and possibly make him look too much like another potential repaint: Deep Cover. As a fully licensed product, Sideswipe is able to proudly wear the Lamborghini Countach branding. One nagging issue with this toy is that it is the fourth release using this mold and seems a tiny bit off compared to my original Masterpiece Sideswipe. Some of the side panels need more massaging to line up correctly. Also this is a minor complaint but the exhaust assembly in the back is much more noticeable when cast in red plastic. That is how this figure breaks down color wise though. When you start to examine Sideswipe's accessories, it becomes clear that TakaraTomy is going for much than just a straight repaint like the original 1993 toy. Included is five all new pieces of equipment that consists of two 90's-tastic guns, a broadsword, and a pair of "spike armor." You also get an honest to Primus sticker sheet and a bio card. The sticker sheet is a wonderful homage to the original G2 Sideswipe and allows you to dress the Masterpiece toy up like the old 90's toy. You also get a pair of G2 Autobot symbols if you want to make the figure look like Sideswipe did in the Transformers Generation 2 comic. We will get back to the stickers later. The illustration on his bio card seems a lot more irate too. Much like with the first Masterpiece Sideswipe, all of G2 Sideswipe's accessories can combine into one big chunk of swordgunspiketire and plug into his roof. Sideswipe did a similar thing in the Generation 2 comics. I especially like how the "spike armor" tires can sandwich onto the back of one of the guns. After an identical transformation to the original Masterpiece Sideswipe we have a mean looking black and red Autobot warrior. The G2 version has a few extra details to set it apart from the previous release like the aforementioned "spike armor" that plug into his missile launcher ports and replicate the weaponized wheels seen in the comic book. Probably the most 90's comics thing about this figure is the new head that features a scowl so XTREME it could make Cable huddle in the corner with fear. Also note that his spike armor can tilt up and down so it stays out of the way of his shoulders when posing. I noticed that there appears to be a faint black smudge on his forehead but that's clearly just the scars of war and not a quality control issue. THIS IS NOT YOUR FATHER'S AUTOBOT! Artist Derek Yaniger worked on the first issue of the Generation 2 comic and brought a distinctive style to the series that permeated throughout even though he sporadically contributed to it. This new head does a lot for making this version of Sideswipe seem like its own unique character and worth owning in and off itself. This toy embodies the unfettered and often insane approach to comic book art in the 90's. TakaraTomy went above and beyond to make sure this toy can use MAXIMUM FORCE TO HIT 'EM WHERE IT HURTS! The new weapons especially help to complete the ensemble. This gun is a perfect example of the "engine block that shoot lots of bullets" school of design and is very faithful to the comic. Likewise, Sideswipe's other firearm has that chunky over designed charm to it. Both of these weapons tab into a slot in his palm where you then carefully close the hand around it, stopping before the fingers touch the handle. Unfortunately the delicate grip on the guns is a problem from the first MP Sideswipe that they haven't corrected. Sideswipe also comes with a broadsword or as I like to call it, a Liefeld sword. Out of all the artists who rose to prominence in the 90's, I think Rob Liefeld got the most of out this type of melee weapon. This giant machete type sword is both easy to draw and look menacing in the hands of a squinty-eyed antihero. Sideswipe's blade has a few nicks and dents on it for effect. The instructions point out that you can slide the sword in between his backpack roof assembly for storage. I do kind of wish he had come with the pouch laden bandoleer like in the comic though. It would have been a perfect place to stick the sword and keep extra war stuff on hand. Even without a bandoleer, Sideswipe is ready to tear through Decepticons or the Cybertronian Empire. Sideswipe can still wield the combined swordguns in robot mode. Anything he can't shoot he can still stab! And if you can you can swap accessories between the various versions of Masterpiece Sideswipe. Getting back to the stickers, I decided to use them to make my Masterpiece figure resemble my original G2 Sideswipe. I've had that toy for over 20 years and this is a fitting tribute to its longevity in my collection. Unlike the old toy, the Masterpiece has plastic film style decals rather than paper ones. These are cut to fit very precisely so take care when applying them. When putting these on Sideswipe I had forgotten how hard it was to apply stickers to a Transformer! Again it is a huge treat to see TakaraTomy bring out a Masterpiece version of G2 Sideswipe. A few of the stickers didn't make the cut as the two toys have a fair bit of differences between them. What they did manage to adapt still looks fantastic and I think it makes it worth forgoing that beautiful all black Countach for a splash of bright neon green. Masterpiece Lambor G-2 Version takes an already great figure and turns it into an amazing homage to the history of the Transformers brand. For a person like me who was born in the mid-eighties, I've always had an affinity to both Generation 1 and Generation 2 Transformers and this figure is the perfect blend of both. Even if you already have the first Masterepiece Sideswipe, the G2 version is a terrific variation that adds so much to the toy and makes it a worthy addition by itself. Despite some minor QC issues, I am still quite satisfied with the figure. If TakaraTomy decides to do more G2 inspired repaints I am totally on board. Even something like a G2 Optimus Prime with the black trailer and sound box would really hit it out of the park for me. The 90's are back, baby! MP G2 SS is just missing one important detail!! 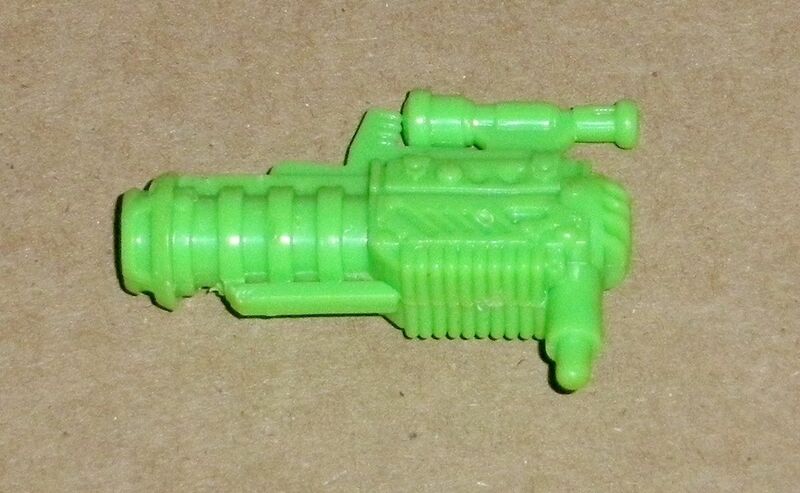 Word on the street is that there are third party companies already gearing up to churn out some accessories for this toy, including a bandolier and, hopefully, the aforementioned launcher. I received my G2 'Swipe over the weekend and am really looking forward to any further improvements those companies can offer. Actually a bandoleer might be a bad idea if it scuffs the black paint on his chest. It wouldn't if they made it of rubber or something. FIRE POWER 3!! tech spec it was a tough business being a G2 AUTOBOT!! MEGATRON and DECEPtICons must have been mopping the floor with these guys literally!! The 90's are B A C K! If they continue their G2 theme with other Masterpiece, can we expect an amazing technicolor Seeker remold? Or a Prime with an alternate head that has a couple slugs in one side? Wouldn't that depend entirely on what material it's made of, or just how it attaches on him? I had originally been interested in this because I like the G2 color schemes, but now that I see that he comes with a ridiculous scowl straight out of the dark age comics, and doesn't come with even a dummy of the G2 launcher... that's off-putting. Anybody know if the KO just copied the original head? Because if it did, ten saving up for it won't be just settling for the poor man's option.